The beauty of Joseon-era architecture and modern skyscrapers in Seoul can be seen all at once -- if one visits major royal palaces at night this summer. 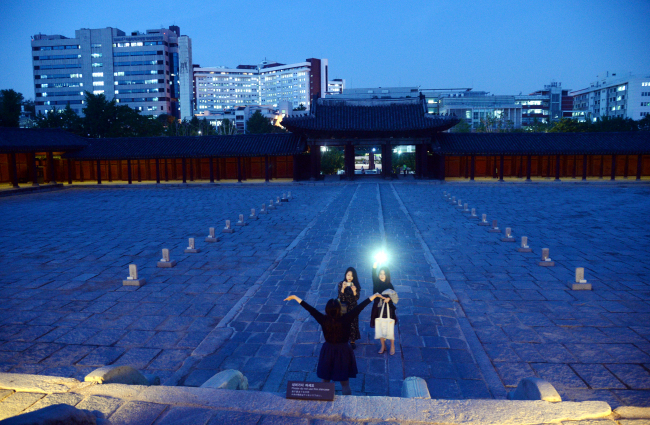 On the Changgyeonggung nighttime tour, people are now allowed to stroll around the palace under the moonlight, surrounded by its beauty and nature that surrounds the palace buildings. 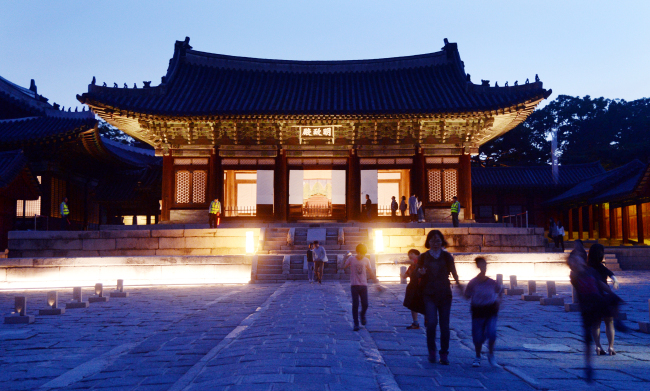 According to the Korea Tourism Organization, Changgyeonggung is an ideal destinations for anyone who is interested in seeing Korean palaces in Seoul. Designated as a World Heritage site by UNESCO in 1997, the palace is described as the “most traditional and authentic” of Seoul’s five palaces -- Gyeongbokggung, Changdeokgung, Deoksugung and Gyeonghuigunge and Changgyeonggung. 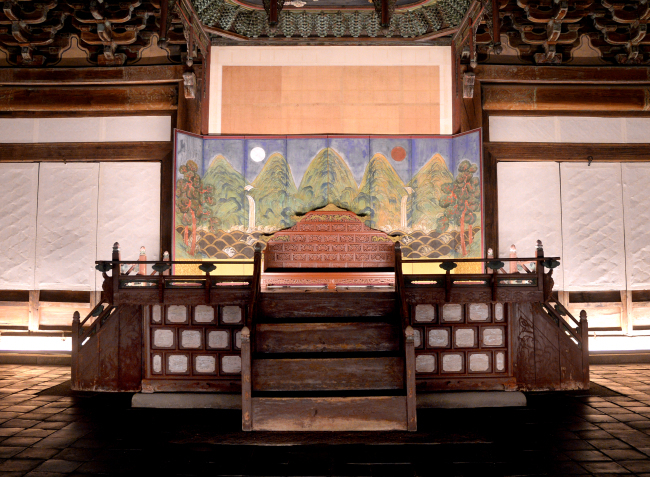 Built by King Sejong, the fourth ruler of the Joseon Dynasty, the palace often served as residence for the kings’ concubines and queens. 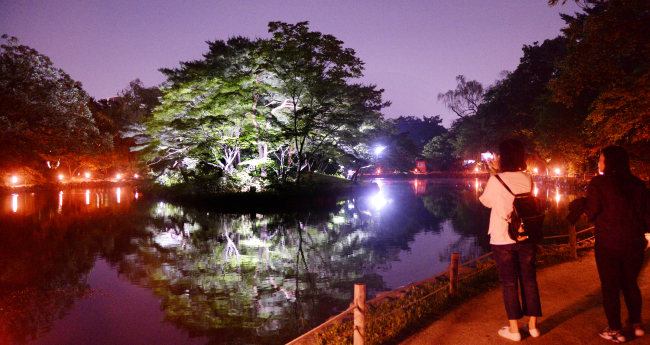 During the Japanese colonial rule, the palace was partially turned into a zoo and had a botanical garden. The palace was restored to its original form in the 1980s, without the zoo. Unlike other major palaces in Seoul, such as Gyeongbokgung, which consists of buildings that are arranged in rather strict architectural fashion, the buildings in Changgyeonggung are positioned relatively freely. The palace may almost look like it was built without any pre-arranged plans, but all the buildings somehow sit in harmony with the picturesque and serene nature that surrounds them. 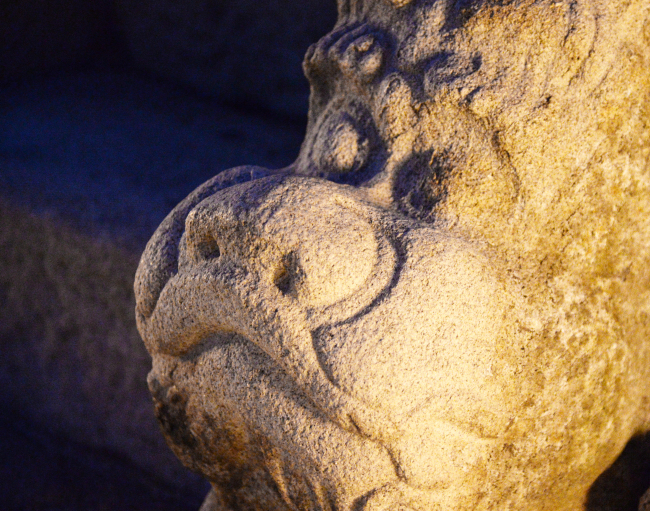 The palace is open from 7 p.m. to 9:30 p.m., on selected dates until Nov. 3. From June to August, the palace will close at 10 p.m. For the full schedule and tickets, visit ticket.interpark.com. Foreign nationals can buy tickets on site as long as they bring their IDs.